This is my first ever walk report, and it was such an awesome walk I just can't avoid putting it up any longer. 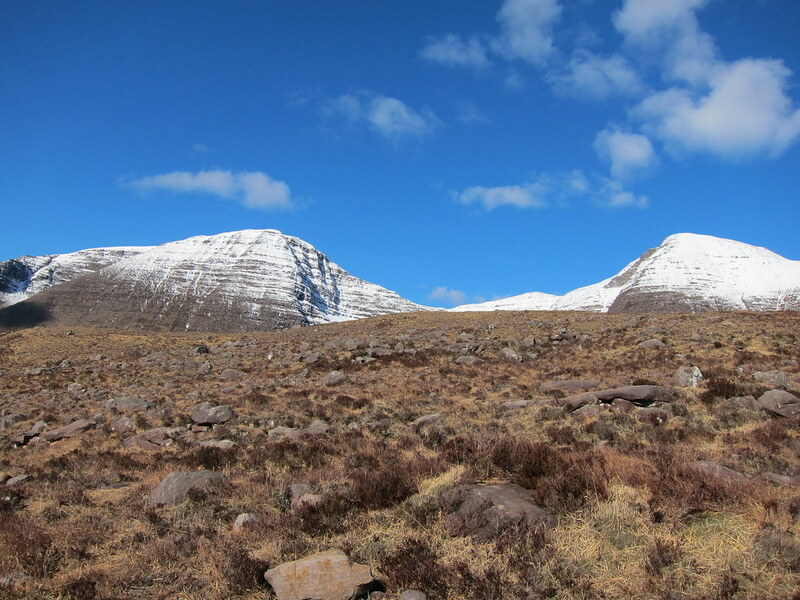 I was in Torridon over Easter with a couple of very experienced mountaineers and Beinn Alligin was one of the chosen walks. Staying at the SYHA meant a very short drive up to the car park and we quickly got going. The weather was terrific - I've rarely had more sun and I cannot remember clearer conditions than those that day. With the tops of the hills still very much snow-covered it was feeling a little alpine. 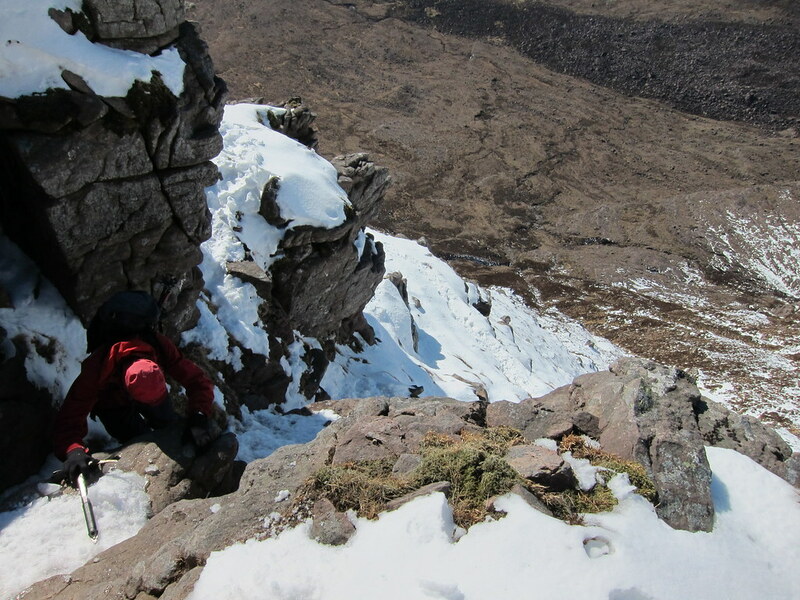 After an uneventful trudge up to the "horns of Alligin" we donned our crampons and got out the axes as it felt right - they would give us extra options if we needed them. Turns out it was the right decision. We met someone who works at an outdoor centre in Aviemore and she was significantly quicker than we were, although she did avoid all the horns and shot off up to the Munro ahead of us! I was regretting forgetting my shades with the sun reflecting in the snow. ...and then headed back down to the car. It felt awful coming off the mountain as I wanted to stay up there forever just wallowing in the views. 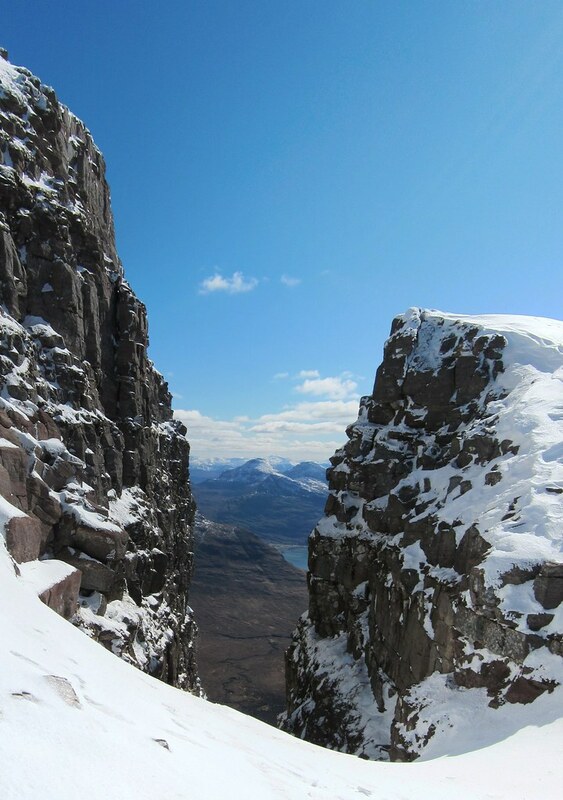 After the previous day on Slioch had seen only broken sun, this was the Real Deal. Top area, top conditions, top mountain. A good report on a great mountain. I think you've conveyed that first visit feeling very well and also the reluctance to leave -I'm sure lots of folk will identify with. Great photos in there too. 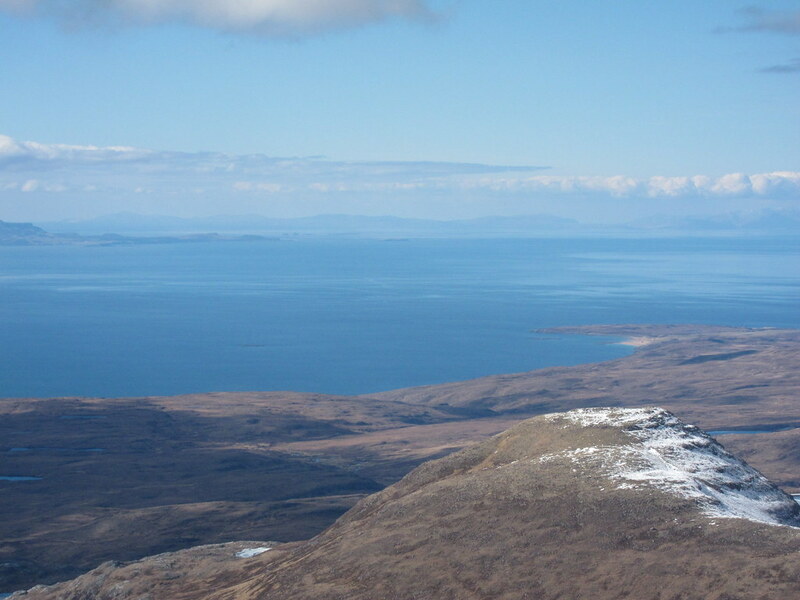 I think Ben Alligin is a very special hill. Looks fabulous! Well done! It looks particularly hairy in places Cracking weather for it. I was out on the Aonachs yesterday and the descent route I took was horrendously steep, so much so that I had wished I had gone back up Aonach Beag and down the way I went up. But once committed, that was me. 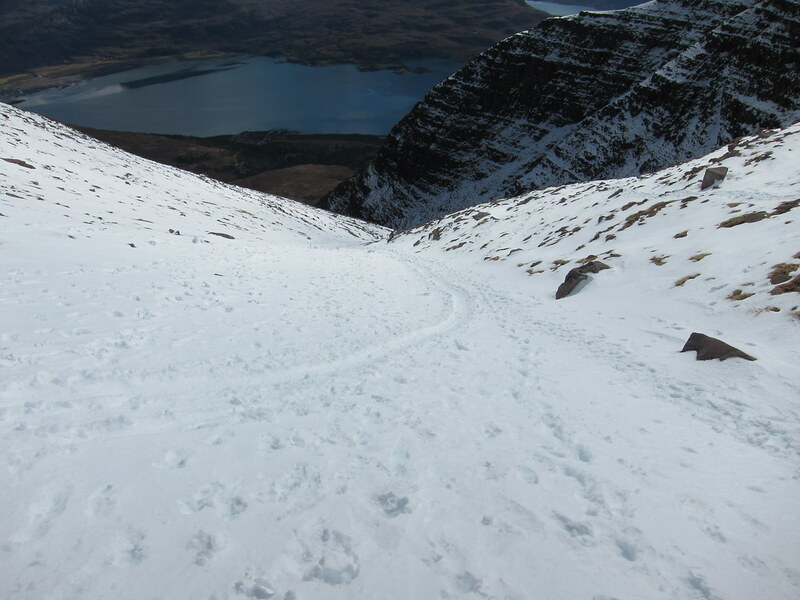 On my way down, there was just one set of footprints and a similar looking bum-slide print. I wondered how anyone could have been so daft as it was really dangerous with a small crag at the bottom and boulders everywhere. When I reached the bottom, with huge relief, I realised that the bum-slide print had indeed been a large boulder that slid down, then had rolled some distance from the bottom of the crag. Stunning hill only got views on the horns, but really enjoyed it, that ancient rock fall is something else. Great photos & a great first report. 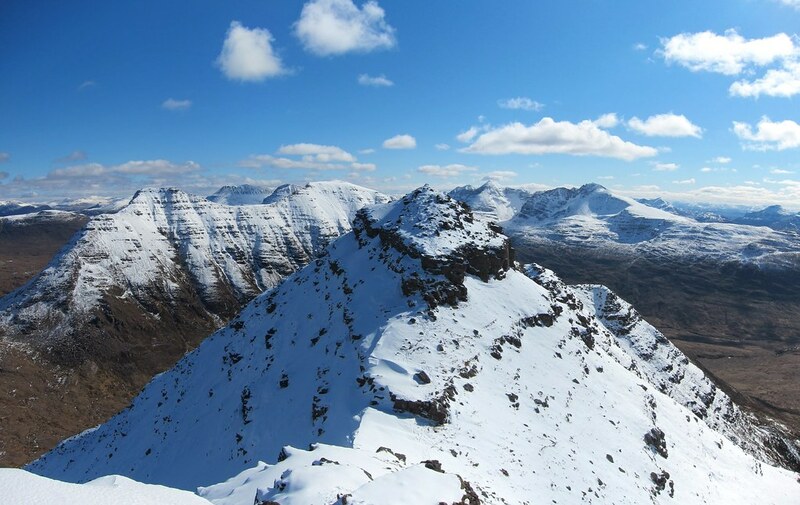 Beinn Alligin was my first (and only) munro in Torridon & we were lucky enough to have a stunningly clear summers day with an eagle passing close by just as we approached the second top. I've always said I'd never go up there again...simply because those memories are so special I don't want anything to muddle them up with! 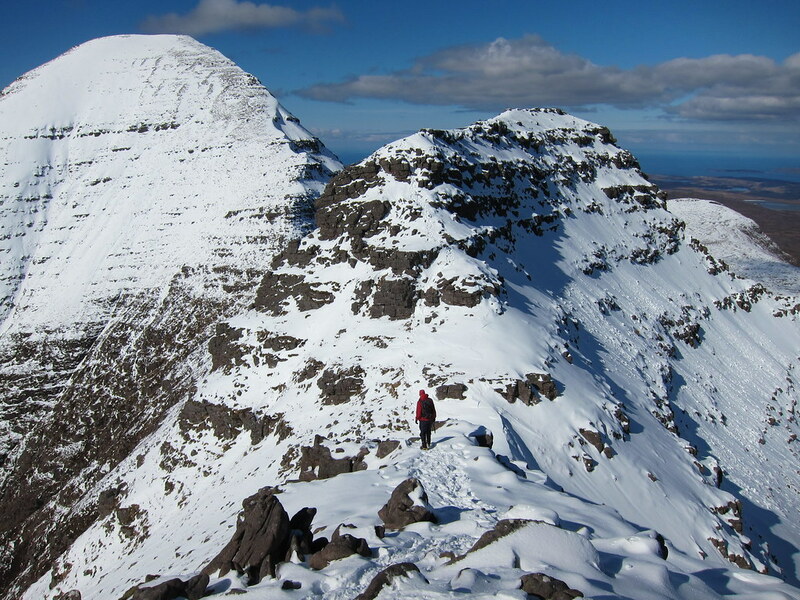 Having seen these pics though I might be tempted to try a winter climb next year!